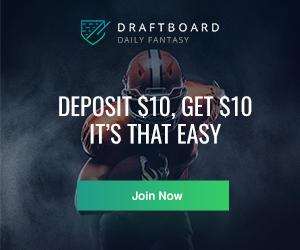 Welcome back, RotoBallers. For those of you still playing - we're here to try and help with your lineup decisions, and of course bring him those championship trophies! I'm filling in for the regular @Roto_Dubs this week, as he has "real life" stuff to attend to. 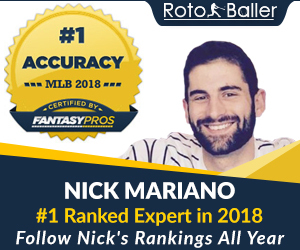 For those who aren't familiar, this is our fifth year now writing this weekly column, helping fantasy baseball managers pick the best pitchers weekly. Below are the projected starting pitching matchups for Week 26 (9/24 through 9/30) as they currently stand, and our recommendations on whether to start or sit each pitcher. We'll be updating these throughout the week as rotations are inevitably tweaked. If you've got any questions about which pitchers can capitalize on a juicy matchup and which ones might be worth putting on the pine against a fierce offense, this is the weekly piece for you. For every week of the fantasy baseball season, we look to analyze all of the projected starting pitcher matchups and put together our optimal lineups. It's late enough in the season where we need to dig a little deeper -- those looking to make up ground in the standings may need to take some more risks to try and make up ground on their opponents. Those leading the pack need to make sure they don't roll out too many duds, so benching to right dud can be a ratio saver. 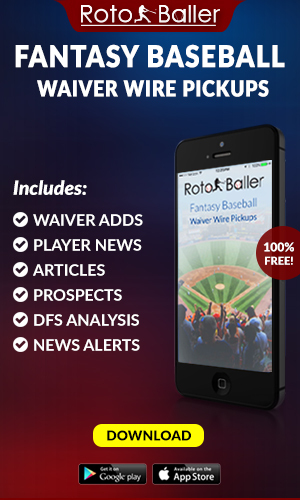 And as we approach September, more pitchers will be emerging on the waiver wire, so stay stuned! 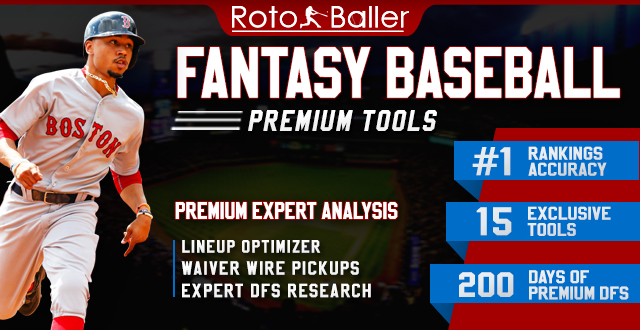 Now let's get those optimal lineups set for the upcoming week! This weekly piece considers the pitcher’s opponents, their career stats against the opponent, some ballpark factors and historical splits. 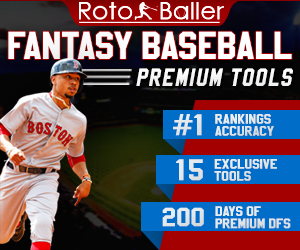 With all of this information, we then provide our start/sit recommendations for each starting pitcher matchup for the approaching week of fantasy baseball. As we near towards the end of the season, and many teams stream heavily, my start recommendations become more aggressive. Ya gotta be in it to win it. Contact Rate Risers and Fallers for Week 3 - Buy or Sell?